Wouldn’t it be nice if your marketing plan aligned with other department’s activities? One of the reasons it’s so hard to implement a marketing plan is that what you’re trying to do may clash with other dept activities, schedules, and deliverables. This often happens when there is a dependency on the software or product development team. One way to resolve this is to map both plans, see where they align, and what gaps need to be filled. Here’s how to do it! One problem is ownership. Second is stakeholders. Third is power bases. You need to factor all three when aligning with other departments. Identify Your Baseline – Get copies of your current marketing plan. Make sure it is easy to access, e.g. Shared drive, and in a format that can be read, commented on, printed etc. Print it out. Make copies. Circulate. Identify Their Baseline – Get copies of the most up to date product/SDLC roadmaps. Print them out etc. Arrange Offsite Meeting – While it’s tempting to do this onsite, try to find some local business offices/hotel facilities you can rent for the day. This removes people from their power bases and makes the event feel more neutral. Make sure there are whiteboards, flip charts, and web access. Hire an outside facilitator – You need to identify someone who has no vested interest in the outcome. Hire a business consultant that is strong enough to chair the sessions, impartial, and moves your towards censuses. Brief the facilitator – Walk her through the current arrangement, identify the main issues you face, brief her on the political issues, and key people. Also, show her existing process flows, marketing plans, project schedules, and roadmaps that allow her to grasp where we are today. Prepare your team – Brief your team on the goals of the session. Identify people who can make presentations during the day. You can’t do it all yourself. Bring writing materials, post-it notes, photocopies of roadmaps, plans, marketing collateral. Reduce Distractions – Make sure to leave all PCs and web devices outside the room during the main sessions. You want the teams to concentrate, focus on the task at hand, and avoid running to their email for refuge. Stay offline! Map it Out – Use the white boards to draw the product roadmap. Next, draw the marketing plans. Draw them in such a way that you can compare where they align and where conflict. Identify unknowns. 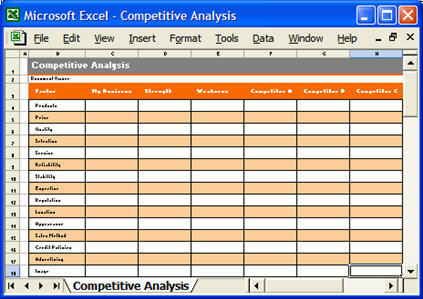 Gap Analysis – Examine the gaps, such as timelines, delivery dates, schedule conflicts, or other deliverables. Capture these in an Excel spreadsheet. Prioritize as high, medium, or low. Resolution – Now that you know where the gaps are, how can you bridge them? What dates needs to be changed? What parallel projects will be conflicted? Who else is depending on these deliverables? De–risk – Look at ways to de-risk the main problems, for example, what happens if the product is released late or early? How will this impact your marketing campaigns? What contingency do you need to put in place? Agreement – Before you leave the room, you need to reach agreement on each other’s next steps, action points, and status reports. This prevents the session becoming a ‘talking shop’ where no progress is made. You’re not done yet 🙂 You still need to work closely with both teams to make sure the agreements are pushed through and there is no back-sliding. Look at the resources, priorities, and budgets required to make this happen. Update your project plan by assigning tasks to different members of your team. Finally, share your success across both teams. Thank everyone for making it happen and give others credit. After all, you may need to do this again next year. What’s the real problem with aligning marketing plans to other activities? Why do marketing teams tend to work in isolation? How do you break down these information silos?